The Environmental Protection Agency (EPA), Centers for Disease Control and Prevention (CDC) and Food and Drug Administration (FDA) have closely monitored and tested the effects of mercury and its use in the dental industry for many years. Since the early 1990s, these agencies have been researching the link between human and environmental health issues and mercury that originated in dental offices as dental amalgam [uh-mal-gum]. Dental amalgam is a dental filling material which contains a mix of 50% mercury, plus a powder containing silver, tin, copper and other metals. It has been used for over 150 years to fill cavities caused by tooth decay in hundreds of millions of patients around the world. Elemental mercury is the primary component of dental amalgam. Mercury is a naturally occurring metal in the environment and can exist in liquid, gas or solid form when combined with other metals. Everyone is exposed to mercury through air, drinking water, soil and food. The concern is (1) how much mercury exposure is too much before becoming mercury poisoning, and (2) are mercury levels increasing as a result of interactions with other elements in the environment? Mercury is released into the environment whenever a dentist removes an old amalgam filling from a cavity, or when excess amalgam is removed during the placement of a new filling. There is a concern that low levels of vapor can be inhaled and absorbed by the lungs even years after an amalgam filling is placed in a patient’s mouth, potentially causing long-term damage to the brain and kidneys. Due to the lack of scientific data surrounding this concern, little has been done over the years to limit the use and/or disposal of dental amalgam. In 2009, the FDA issued a final rule that classified dental amalgam as a Class II device accompanied by a document that designates special controls for dental amalgam. The Agency for Toxic Substances and Disease Registry (ATSDR) and the EPA have established mercury exposure levels aimed at protecting the most mercury-sensitive populations from the adverse effects of mercury vapor, namely pregnant women, developing fetuses and all children under 6 years old. On December 16, 2016 the EPA signed off on a final rule promulgating technology-based pretreatment standards under the Clean Water Act to control discharges of mercury and other metals into publicly owned treatment works (POTWs) from dental practices4. After a brief hold on this ruling due to the implementation of a new administration, the ruling publication date was solidified on June 14th, 2017 with a effective date of July 14th, 2017. These new standards require dental practices that place or remove dental amalgam to control mercury discharges into POTWs through the use of an amalgam separator, which the EPA has identified as the best available technology to effectively capture dental amalgam before it reaches the wastewater, at an approximate average annual cost of $800 per office. It is understood that a number of dental offices may already have an amalgam separator in place, whether to comply with existing state or local amalgam regulations, or because they voluntarily installed an amalgam separator. According to the new EPA ruling, dental offices with existing amalgam separators will not be penalized as long as the separator is certified to remove 95% of total mercury. The EPA will not require existing separators that still have remaining useful life to be retrofitted with a new separator, (1) because of the additional costs incurred by dental facilities that proactively installed an amalgam separator ahead of the EPA’s proposed requirements, and (2) because of the additional solid waste that would be generated by disposing of the existing separators. Dental offices that place or remove amalgam fillings are required to install and properly maintain an amalgam separator. Depending on the brand, a separator can be purchased from virtually any supply vendor or purchased directly from the manufacturer. Whatever separator is purchased; it is important that the system is promptly installed in order to comply with the new regulations. Proper documentation management is an integral part of this program to ensure that (1) a certificate of recycling is kept on file, and (2) a replacement canister is purchased once the marked fill line is reached or 12 months from the date of installation, whichever occurs first. The regulations do not specify a minimum amount of time needed before replacing a used filter/canister, but the regulations do state and mandate that the manufacturer guidelines for replacement be followed. Since each amalgam separator is required to conduct testing for the ISO certification based on a 12-month replacement maximum, most amalgam separators are required to be replaced every 12 months or once the canister is full. This not only ensures that the separator is functioning as certified, but also to prevent the separator from moving into bypass mode, which would allow the wastewater to flow unrestricted or filtered directly into the separator. The EPA recommends that an amalgam separator should be monitored monthly to ensure the canister is replaced per the manufacturer’s instructions for use, and that a backup canister is kept on site to ensure proper replacement is conducted at the appropriate time. The amalgam separator is installed before the main vacuum line intersects with the plumbing in other parts of the building, and separates solids before reaching the wastewater. The typical plumbing configuration in a dental office involves a chairside trap for each chair and a central vacuum pump with a vacuum pump filter. 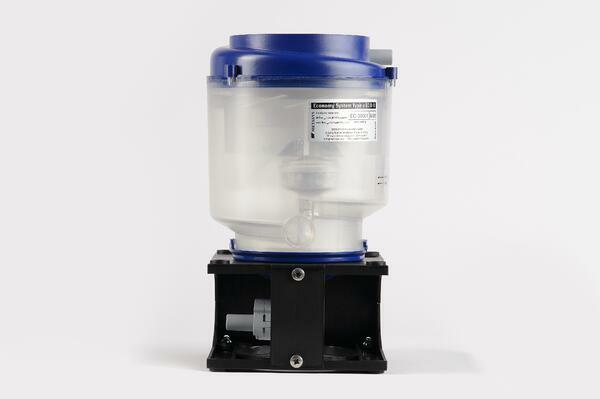 Chairside traps and vacuum pump filters remove approximately 78% of dental amalgam particles from the waste stream. These chairside traps cannot be cleaned or washed; they must be recycled to ensure that amalgam particles are properly managed. Most separator designs rely on the force of the dental facility’s vacuum to draw wastewater into the separator. These separators are estimated to reduce the discharge of metals to POTWs by at least 8.8 tons per year, about half of which is comprised of mercury. Most amalgam separators use sedimentation processes to filter solids. The high specific gravity of amalgam allows effective separation of amalgam from suspension in wastewater. The weight of amalgam is 2x – 3x that of most sediments found in dental wastewater, which allows the particles to separate and settle at the bottom of the canister. After the solids settle, the wastewater is either pumped out, decanted during servicing, or is pulled through the separator. No matter which separator is chosen, it is imperative that it meets the ISO 11143 standard which certifies proper removal of 95.0% or more of total mercury.